High carbon steel Wakizashi hand forged using traditional methods and techniques. Perfect for beginners or first time buyers. Clay tempered carbon steel Wakizashi differential hardened in order to create a hardened cutting edge. Ideal for experienced customers. Folded carbon steel Wakizashi aesthetically pleasing with Damascus style fold lines. Great for anyone looking for a good looking sword. The Japanese take great pride in their culture of swords. Yes, these swords denote bravery, and they were usually worn by samurais or other officers. Nevertheless, these swords spoke volumes about the rich heritage of the Japanese soldiers. Over the years, many different varieties of swords have been used by these soldiers. Each of these types has a different meaning and significance to it. The Wakizashi is one such sword that has a lot of history to it. In this article, we are going to tell you some interesting points about this sword, how it fares against the other swords, how to buy them, how to take care of them and everything else that you might want to know about them. Traditionally, the Japanese swords were classified by two main features – their length and the designation of people who wore them. During the early 15th century, the wakizashi was mainly considered as a secondary sword or one that was used to kill people who were already defeated by the main sword. It was only by 1638 that a clear system was introduced in place to name and classify the Japanese swords and it was during this time that the wakizashi and the other famous sword, the katana was formally introduced to the world. This was also the period when it was officially decided as to which class of people would wear the wakizashi, how they would wear it and where they would wear it. When these swords were first introduced, it was decided that the wakizashi would be worn by merchants, commonly known as chonin in Japan. These swords were predominantly used in fighting place that took place indoors and was worn on the left side of the body, where they were tied to the waist sash. A wakizashi is slightly curved in shape and comes with a square-shaped handle. In the field of swords, a handle is more commonly known as a hilt. This sword was much shorter than a katana, but it was more intricately decorated with beautiful motifs all over. Yes, you guessed it right! The wakizashi looked grander and more beautiful than the katana because it wasn’t used much these days. As we saw earlier, it was only used for secondary purposes. The scabbard or the case which carries the sword makes for another interesting study. While the scabbards of most of the other Japanese swords contained only a single pouch, the scabbard of the wakizashi contained multiple compartments sometimes. This means samurais could carry other knives, combs, and other stuff in these pockets. When the wakizashi sword is worn along with the katana, it was called a daisho. In Japanese, daisho means “big-little.” When this sword is almost close to the length of a katana sword, it is known as o-wakizashi, and when it is almost close to the length of a tanto, it is known as a ko-wakizashi sword. We’ll see the different types of swords and their lengths one of the sections below. In the daisho combination, the katana was the big sword, and the wakizashi was the small sword. Though it was small, the wakizashi was quite thin, which made it very effective in creating damage to the softer parts. This is the main reason why it was used to kill an opponent who was already made weak by the katana. It was used to cause fatal cuts in a man’s weak body in the wars of the past. Therefore, the katana and the wakizashi were also considered to be a deadly combination and warriors enjoyed the great pride in using them on their opponents. Why is a samurai very proud of his wakizashi? Earlier, we told you that the classifications of swords were made by the class that people belonged to. A wakizashi was designated for the class that included merchants and artisans. Also, it was mainly used for indoor fighting. When a samurai had to enter a house, he had to leave his katana behind at the entrance, but he could carry his wakizashi inside. He could wear the wakizashi always, and this sword was his best friend at all times. Hence, the wakizashi was quite effective in warding off emergency attacks that happened inside a building, because the samurai didn’t have his katana to protect him. Also, when quick reflex action was required, it was easier to use the wakizashi because it was shorter, lighter and thinner than the katana. During the Edo period, the samurais treated their swords not just as their weapons but as pure representations of their pride and honor. At the age of 13, a male child from the Samurai community, he has to undergo a ceremony, in which he is bestowed with the katana and wakizashi. He is told right at that young age that those weapons would be his protectors always. According to the rules, a katana couldn’t be carried inside the house, so the wakizashi became all the more important to provide security to samurais even while they were asleep. Sometime during the Edo period, these samurais were given the option to give up their weapons and live a simple life similar to a peasant. However, proud as they were about their culture, the Samurais refused this choice right away. Instead, they chose the option in which they could keep their swords but relocate into the city. Thanks to its effective cutting technique, a wakizashi, apart from being used as a secondary sword and for indoor protection purposes, was also used for committing seppuku, also known as suicide or honor killing. When a samurai died because a wakizashi was used to cut him open vertically, it was a matter of pride and honor for him. When a woman wanted to commit suicide due to lost honor, she would use this sword to cut her throat, not any other body part. Wakizashi – It is quite similar to the katana regarding the wearing style, but it is shorter than the katana. The blade length of the wakizashi is anywhere between 30 and 60cm. Samurais used to wear this sword along with a katana. The combination was called a daisho (as we have seen her earlier). Yari – This is similar to a spear and has a variety of blades. Some blades are straight, some are triangular, some are curved, some are asymmetric, and some are symmetric. People who are new to Japanese swords may use the terms katana and wakizashi interchangeably. Yes, samurais used both these swords together so that they can get the power of the katana and the accuracy of the wakizashi while attacking opponents. However, there are quite a few differences between the two. The first and obvious difference is the length. While the blade of a katana ranges between 60 and 80cm, the blade of a wakizashi ranges between 30 and 60cm. The handle or the hilt of a katana is about 10 to 12 inches long, whereas the hilt of a wakizashi is about 8 inches long. The second difference refers to the application of use. While a wakizashi was used indoors and outdoors, a katana could be used only outdoors. A samurai had to remove his katana from his waist and place it near the entrance before entering a house or a building. A merchant or artisan wearing a wakizashi, however, could wear it at all times, even while he is sleeping. Hence, a wakizashi sword is considered as the samurai warrior’s best friend and protector. The third difference is that the Katana is a two-handed weapon, whereas the Wakizashi is a one-handed weapon. Yes, the length would be the obvious difference. Mostly, a Kodachi is a long sword, similar to the Tachi. It measures up to 75.8 cm approximately, usually. As we saw earlier, the maximum length of a wakizashi is only 60cm. Apart from this main factor, there is another difference that sets these two swords apart – application of use. A kodachi is a big sword and can be used as the main companion. A wakizashi, on the other hand, is a companion sword or a side-weapon that is used to kill an opponent who is already defeated with the help of the main weapon. The main purpose of a wakizashi is to serve as a backup. A wakizashi is also used for committing ritual suicides by warriors who miss out to follow the seven virtues of the bushido rules. Since the wakizashi can be used indoors and has extremely powerful cutting powers, you might wonder if you could use in the modern day to keep yourself safe from home invasions! In all probability, you might think that this sword is safer than a gun; however, it is not the case. Some countries may not permit the use of wakizashi. Also, when you are facing an emergency situation, throwing the sword accurately at the culprit may not be the right option always. Today, there are quite a few sword collectors who love collecting beautiful and well-crafted swords of Japan. Since the wakizashi is a wonderful antique item, it features on top of the list of swords that are the delight of these collectors. 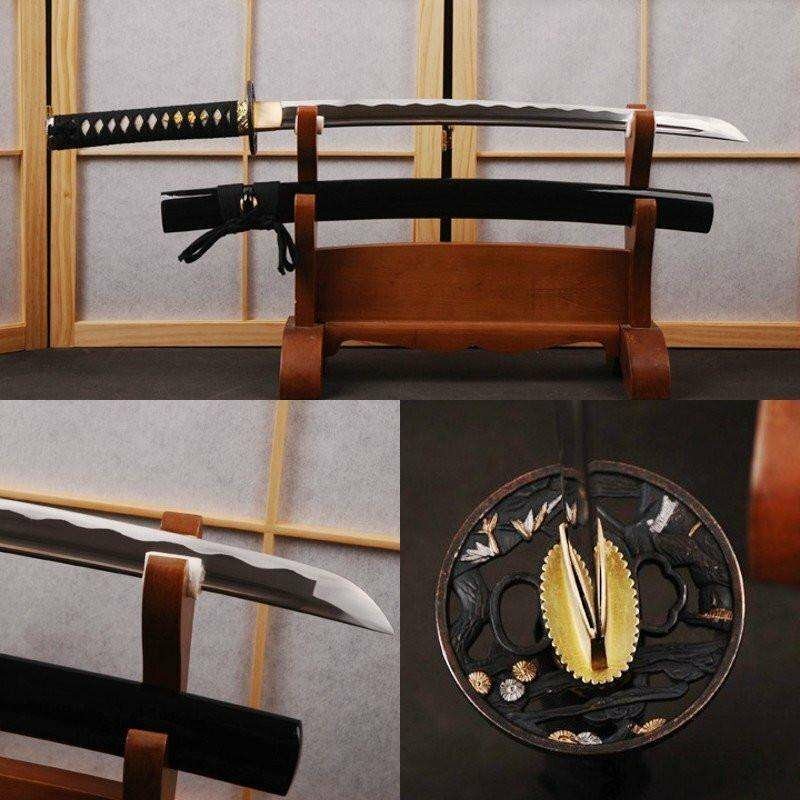 However, if you are a collector, as much as you would love to have different varieties of wakizashi swords adorning your house, you will also realize that maintaining them is not easy. Before knowing how to take care of these swords, you should first be thorough on what shouldn’t be done when you care & maintain for these swords. It is ok if you don’t do the right things; it is more important that you don’t do the wrong things! So, here are few tips for you: No self-sharpening – This is very important; unless you are a professional never attempt to sharpen the blades of the swords by yourselves. Some people make the mistake of using stones, grinding wheel, steel wool, sandpaper or other corrosion-causing materials to sharpen the blades of their Wakizashi swords. If you are one of them, it is high time you realize that you will end up harming the swords and impacting their quality and beauty to a great extent. Don’t change the tang – As a sword collector, you must know that the tang is the chief identification symbol that differentiates between various swords. So, you should never attempt to touch this part for any purpose. A harmless cleaning activity like wiping it with a clean cloth can change the quality of the tang, and thus the value of the Wakizashi can be reduced by a considerable extent. Don’t mess with the polishing – In a bid to make their wakizashi swords shine and glitter forever, some people make the mistake of introducing them to power buffers. These give a glossy finish, but that’s not how an original Wakizashi looks. These power buffers run on electricity, so the heat generated by them could damage the texture, quality, and durability of the blades to a great extent. Do not apply any polishing liquids or powders on the swords. If you think you have to give your sword a good polish by removing the rust and dirt, you have to take it to the right professional. It’s meant for cutting flesh – Why do you think the samurais used Wakizashi? To cut wood? Definitely, not! They used these swords to cut into the torso of a weak person. So, what is your takeaway from this logic? A Wakizashi sword was designed to cut flesh and it will! Never try to test it by running your fingers on the blade. Also, as a collector, your sole purpose is to only keep it as a decorative item. Never use this sword to cut wood or weed as you will damage the overall quality of the blades when you adopt this approach. Always use cloth while using it – If you are inexperienced in dealing with these swords, a very common mistake that you could commit is to touch them with bare hands. When you do this, you are not only putting your finger at risk but are also damaging the quality of the blood. Your finger bleeds immediately because the blades are very sharp and the blood stains the blade, thereby altering its quality and texture. Whenever you are using the sword, you should always remember to cover the blades with a clean cloth. If you spot that the blade is slipping off from its handle at any point, never attempt to save it. Let it fall because you may lose your fingers forever when you attempt to save a super-sharp blade falling at high speed. Don’t disturb the handle – Though we are not sure why they do it, some people are interested in unwrapping the sword’s handle, which is also known as the tsuka. If you thought the right blade is inserted into the handle and that the Wakizashi sword is ready in minutes, you are completely wrong! It takes the work of an experienced professional to assemble the blade neatly inside the handle and keep small papers on the sides so that the blade is positioned well. If the handle is broken or needs replacement, you need to seek professional help mandatorily. Preventing rust – Wakizashi and all other Japanese swords should be treated like babies, as we saw from the above points. Cleaning and removing rust from them is a huge challenge. Hence, it is only prudent that you prevent rust from accumulating on these blades. Apply a very thin/light coat of Choji Oil on the sword to give it the desired lubrication and keep it safe from rust and dust. You may have to re-oil them at specified time intervals to maintain them properly. Ensure that you first use a fresh and clean white cloth to wipe off the old layer of oil and then apply the new coating of Choji Oil professionally. If you are in doubt, ask specialist Japanese sword experts for more information about preventing rust. A Japanese sword is a precious asset as it speaks a lot about the history, culture, and heritage of the Japanese samurai warriors. Hence, it is only natural that you should take care of it in the best possible manner so that you don’t damage it. You should remember that these don’t come cheap, so if you are in doubt about any aspect of its care/maintenance, you always have to consult a professional or expert. Never indulge in any DIY activities if you are unsure because a simple mistake can create irrevocable damage to the quality of the blades. It is highly recommended that you join forums of Japanese sword collectors and experts. By adopting this method, you can brainstorm various ideas and get to learn a lot of new facts about caring for your swords. 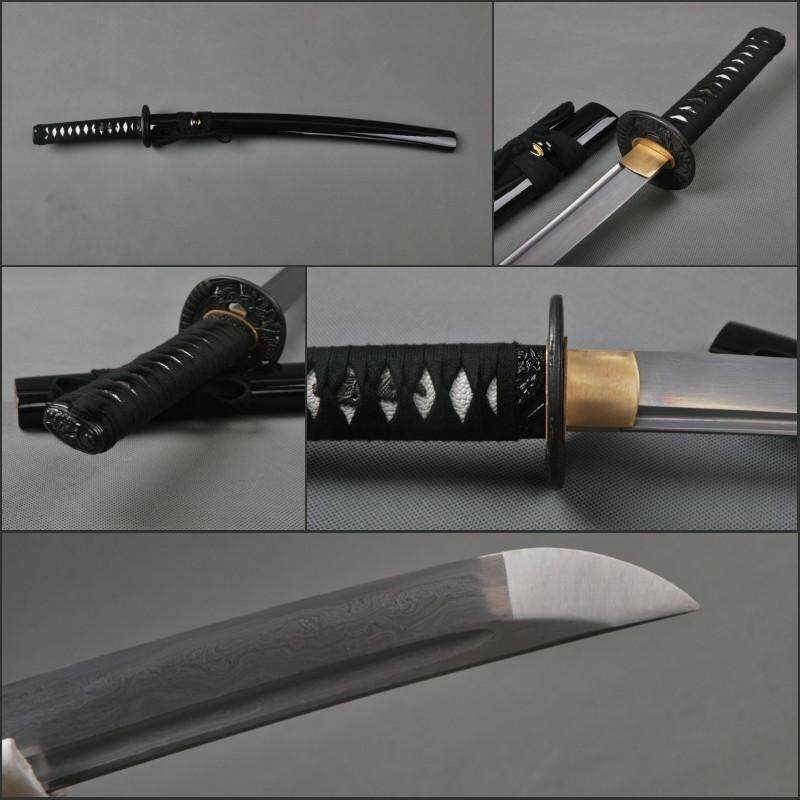 A Wakizashi sword comes with excellent artistry and workmanship. Hence, it is only natural that you have to give it the due respect it deserves. When you collect a Wakizashi sword, try to collect all related information about like its make, application in the earlier days, history of artisans who created it, people who used it, etc. When you know about these facts, it will help you appreciate the value of these swords in a better way and give them the best & professional care always. We would like to bring to your notice, a beautiful saying that was said by one of the renowned swordsmiths of Japan, Kawachi Kunihira – It is not because a Japanese sword is beautiful that it can cut, it is because it can cut that makes it beautiful”. Do you need anything else to know more about the Wakizashi and other Japanese swords? Since they are closely related to the pride and cultural heritage of Japan, these swords have to be chosen with great caution. If you are not sure about the basics, sellers may exploit your ignorance by selling fake swords. As a first time buyer, you might be bewildered at the different brands of swords available at different price ranges, in front of you. You might also wonder which brand you have to choose. If you are confused about making the right choice, you can rest assured knowing that you are not alone. Here are some points that you should remember while buying any Japanese sword, including Wakizashi. These tips will help first-timers immensely. Type of steel used for manufacturing – If you want to invest in Wakizashi swords that are 100% original and durable, you should buy the ones that are made from carbon steel or Damascus steel. You might find cheaper options made from stainless steel. However, these blades break off easily, and you might have to shell out a huge sum towards repairs of the same. Carbon steel swords are heated and cooled at different temperatures to get the perfect texture. If you are looking for swords that have beautiful blades made of interesting patterns, you should buy a Wakizashi that is made from Damascus steel. This is one of the strongest materials available today, and it derives its strength from the power of steel that is well-folded to make the blades. How do you know if you know that your Wakizashi is made from original Damascus steel or not? Imagine the blades closely after shining a flashlight over the sword. If you see the illuminated pattern work on them, it means they are genuine. Authentication certificate- Whenever you buy a Wakizashi sword from an online or brick & mortar store, you should remember to ask the seller for an authentication certificate. This is nothing but a quality certificate which certifies that the swordsmith had passed all the quality tests that were conducted on the sword. These are mostly approved by authorized organizations like the NTHK. If the seller is hesitant about sharing this certificate with you, it should ring an alarm bell instantly in your mind that the swords he sells could be duplicate ones. Cost – This is one of the first points that you have to keep in mind while proceeding to buy a Wakizashi sword or any other Japanese sword. How much can you spend on a sword? Getting an answer (an approximate one, at least!) is very important because these swords come in different price ranges. While a wakizashi with a simple design can cost you a few hundred dollars, the cost of the more intricately designed ones can run into few thousands of dollars as well. If you are a connoisseur in the field of collecting swords, you may look for special antique Wakizashi swords to add to your exquisite collection. Most of the times, the starting price range of these swords is about $5000! Hence, it is very important to have clarity regarding your budget so that you can narrow down choices accordingly and make the right decision. These three are the most important points that you have to look for while buying a Wakizashi sword. In effect, when you have possession of the authentication certificate, you can be assured of the quality of the sword. Some other details that you might want to check are the designs/patterns of the scabbard, handles, relevance of culture in the engravings of the sword, quality and type of mountings and finally, the balance of the sword when you feel it with your hands. The mountings, especially add grandeur to the sword, so you need to choose them wisely. These are nothing but intricately crafted handmade pieces that make the sword look beautiful. So, if you are buying a sword for ornamental value, you should choose one that has lovely, handcrafted mountings to go along with it. In today’s world, there are replicas and duplicates available for almost every product. Japanese swords are no different. If you are a beginner in this field, you might face a tough challenge in buying the right and authentic sword that would suit your requirements. Don’t you want to know if the sword justifies the price that you spend on it? Mentioned below are some basic facts that you should be aware of so that nobody takes you for a ride. Blades should be strictly made of steel – Today, some new swordsmiths make aluminum blades and polish it in such a way that they look like steel. If you don’t check properly, you will pay a huge sum for the fake blades, without even know what a trap you have got into. Here is a simple trick to check the authenticity of the blades. Carry a magnet with you! Aluminum is non-magnetic, so you can easily spot the difference. This should be your first level of check. Do you know what grains are? Most of the experts may advise you to watch out for the grains in the sword as they will tell you a lot about the history about the period in which they were manufactured. However, do you know what grains are? Commonly known as the hada in the local dialect, these grains are nothing but the patterns found on the surface of the blade. If you find these grains on the blade, it is a 100% indication that these blades are crafted by hand by expert artisans. Is the hamon visible? Hamon, in Japanese, refers to the blade pattern and it is borderline of the hardened zone that is found on the blade of the swords. If the hamon is naturally crafted on the blade, it will display tiny dots when checked through a magnifying glass. Are you just beginning to walk the path of a sword collector? If yes, here are some points that you have to keep in mind so that you don’t go wrong. Why do you need the sword? This is the first question that you have to ask yourself before you proceed to collect swords. Are you looking for an item for decorative purposes? Are you looking to engage in some practice sessions? Do you just want to showcase it as an ornamental piece on your walls? Know why you want the sword for so that you can make a prudent choice. Develop your network – The next obvious thing that you have to do is to join a proper community that is made of sword experts and experienced sword collectors. Engage in these forums actively and ask your questions so that you get the right answers. Keep yourself updated about the updates in this field and attend as many swords show as possible to know the techniques to check the authenticity of the swords so that you can keep improving your knowledge on a regular basis. Be extra cautious on your first purchase – Your first purchase is always going to be very special for you. Hence, ensure that you buy your sword from an authorized and reputed dealer only. Quality and age are not directly proportional to each other – Yes antique swords are quite costly because they are of high quality. However, it is wrong to assume that a sword is of top quality just because it belonged to the 15th century or earlier. Even if a sword is around 500 years old or more, you still have to do your regular checks and buy it only if there is an authentication certificate along with it. Now that you have understood the various types of swords and their comparison with the Wakizashi ensure that you choose the right sword for your purpose. After spending your hard-earned money on these swords, it is imperative for you to give them the care and maintenance that they deserve if you want them to last for several years. The Wakizashi sword may be a companion sword, but they are quite sharp and deadly; therefore, you need to ensure that you handle them with care and never touch the blades with your bare fingers. Watch out for the authentication certificates when you buy so that you don’t get cheated. 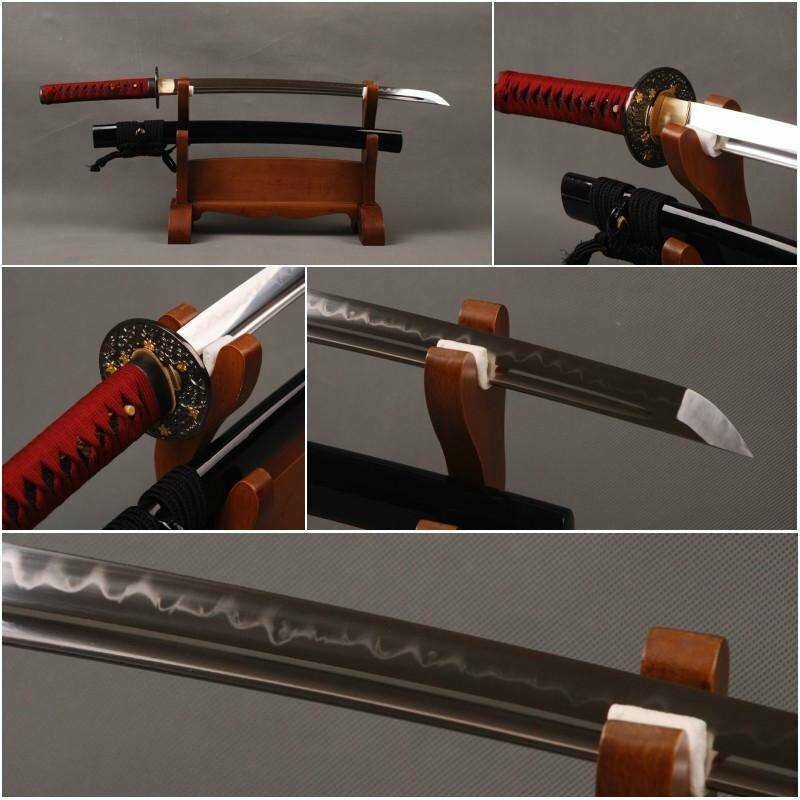 These wakizashi swords are great ornamental pieces, and they add immense visual appeal to your house or building. Since they are sheer representations of Japanese culture and heritage, wouldn’t it be lovely to get our hands on one of them?